The King of Clay, Rafael Nadal, has a new pretender to his throne. Well, make that a few pretenders. Novak Djokovic, Stan Wawrinka, Fabio Fognini (twice) – all have defeated Rafa on the red stuff this season. But hands up who thought Andy Murray would throw his headband into the ring too? Before this month’s Munich Open, Murray had never reached a clay-court final. Worse, he had beaten just one one top-ten opponent on the surface in his career (Nikolay Davydenko, 2009). But history, shmistory. Not only did the Scot win in Munich, he went on to hoist the Madrid Masters trophy too, leaving three top-ten opponents in his wake (Milos Raonic, Kei Nishikori and Rafael Nadal). After years of mediocrity (by his standards) on his least loved surface, Murray’s Inner Clay Beast seems to have slipped its leash. The question is: why has this not happened before? After all, Murray can run, he can hit a heavy ball, and he’s Mr Consistency from the baseline – all tickets to success on the dirt. But the Scot is a counterpuncher by instinct, and clay is no great friend to the counterpuncher. You need to generate your own pace, rather than use the weight of your opponents’ shots against them. Clay being the slowest surface, with a high, unreliable bounce, it rewards consistency over creativity, physicality over finesse. Bad news for Murray, then, a tennis tactician who varies his pace, placement and spin with an artist’s attention to detail, the better to keep the ball out of opponents’ hitting zones and frustrate their rhythms. For an athlete so fleet of foot, he’s never entirely mastered the arcane art of clay-court sliding, either. So what changed? For one thing, he shored up his sometimes-shaky serve, turning it into a genuine weapon again. Against Nadal in the Madrid final – one of the most testing arenas in tennis – he served intelligently, his forehand was unflappable under pressure and his crosscourt backhand was an über force that sent the Spaniard deep into his forehand wing. While his opponent struggled desperately for timing, Murray made squeaky-clean contact, his shots at once aggressive and impeccably controlled. And something seems to have grooved with Murray mentally. Where before he was a scowl with a racquet, glowering at his team, clutching a body part and screaming at unhearing gods when things didn’t go his way, these days he’s positivity personified. Trimly bearded, he plays with a quiet, head-down purpose, no longer holding his game to an impossibly high standard. At the moment of his Madrid triumph, a genuine smile wrinkled his cheeks. Perhaps he should get married more often. Murray’s win-loss record since tying the knot with Kim Sears in April? 10-0. Nothing cosies a home quite like a cat. They’re cute, they’re cuddlesome and they clean themselves so their owners don’t have to. So when, recently, the opportunity arose to adopt one, we did so. We called her Mavis. 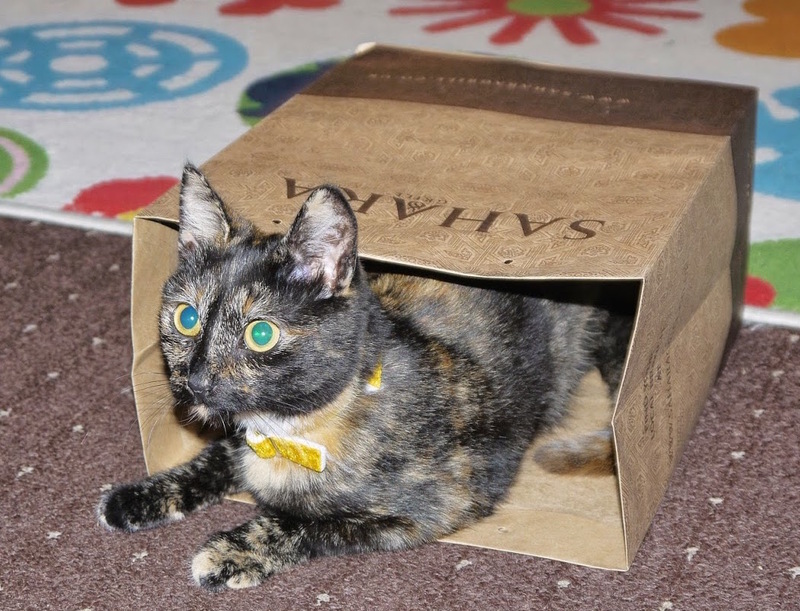 A two-month-old stray from a tough London postcode, Mavis was – unsurprisingly – shy on arrival. She spent much of her first week bunkered behind the sofa, emerging only to nibble gingerly at her Iams and claw curiously at our ankles. But by and by she grew bolder. Before long she was mistress of the house, nestling into laps, meowing outrage at not being allowed into bedrooms, and generally gliding around with a queenly disdain for lesser mortals. The curiosity of cats is proverbial. What we do, what we eat, where we go: Mavis needs to know it all. Worse, she’s meddlesome, cuffing pens, candles, books and glasses aside with an inconsiderate paw. She scampishly jumps into bed as a power play, and grudges me any time I spend in my own company (namely: a few snatched seconds here and there). Patience she has none; social tact, very little. But for every peccadillo, we love her to distraction. In fact, we’ve spoiled her. Not that she’s thankful. In anticipation of her arrival, we bought the plushest cat bed money could muster (from Argos), only to watch her settle, night after night, onto the sofa, onto the windowsill, onto the floor – onto anywhere, in fact, that wasn’t the cat bed. Only later did we realise – upon finding a covering of Mavis-coloured fur – that she had rested her head on the thing after all. But only under cover of darkness, naturally, so we wouldn’t know it. I’m a cat, do you see. I answer to a higher authority (my own). Another thing. Mavis is omnipresent. Her movements are silent and swift. She might be in a different room, or outdoors, or sound asleep, but you’re not safe. Suddenly, with a quickening of the air, and a screeching of claws-on-carpet, she’ll make an entrance – leaving you with barely enough time to brace for the worst and commend your soul to heaven. The only proof is a shut door, which meets with a barrage of ill-tempered meowing. You might assume, then, she’d be happy to see us when we get back after being away – but no. While now and then she might meow a cordial welcome, her general response is one of studied indifference. Such is the Mavis way. But the thing is, we do get on; we click. We share the same passions and pastimes and appetites. She likes tuna, I like tuna. She’s broody, thoughtful and lazy, so am I. She never shirks an opportunity to drowse the day away – you should see me nursing a hangover. But not all our amusements are exactly alike. When I’m watching TV, she’ll be in the kitchen, inspecting the washing machine for signs of mice. When I’m reading a book on the sofa, she’ll be perched on the windowsill, watching the birds with unblinking Bill Oddie eyes. And when I’m sipping a cup of tea, she’ll be taking deep, quenching draughts from the bathroom tap, her whiskers jewelled with droplets. So far, so feline. Cats, I concede, will be cats. And Mavis is still finding her paws. Ten months old, she’s a furrball in prime fettle, a kitten on the very threshold of cat-ulthood. It’s been nearly a year since tennis’s two superpowers – Rafael Nadal and Novak Djokovic – last went to war. That match was the 2014 French Open final, which Rafa won in four tough sets. But the balance of power has shifted since, and significantly. While Nadal limped from injury to injury (first wrist, then appendix) and struggled for basic form, Djokovic swept all before him, winning two of the three Grand Slams and dominating his rivals in the Masters events. Since losing to Rafa in Paris, Novak has beaten no fewer than 22 top-10 opponents. Nadal? Just one: David Ferrer, in Friday’s hard-fought quarter-final. So at the start of this reunion match, Nadal was in a rather unfamiliar position – of being the clear underdog on a clay court. But out he came swinging his Babolat, breaking Djokovic’s serve in the opening game. Djokovic, however – as Andy Murray and Roger Federer can grimly attest – is fully back to his 2011-grade best. Playing with purposed precision and length, the Serb broke right back a few games later. But he needed his best tennis to save serve again at 3-3, a marathon game in which Nadal held two more break points. Both players stepped it up a level: Rafa’s grunts struck a more urgent note, and Djokovic – hitherto silent – took up the cry. It was the pivotal moment of the first set. 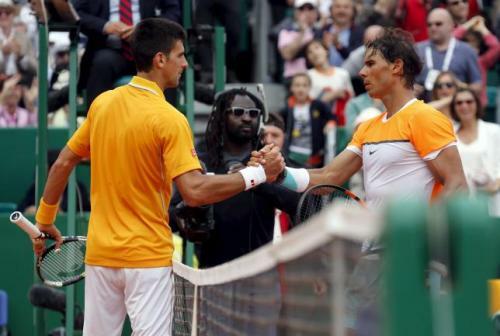 Danger finally averted, Djokovic broke an error-plagued Nadal in the following game and duly served it out. If set one was close, set two was comfortable – for Djokovic. His game having clicked into a groove, he manhandled Nadal in rallies, running him from side to side, scoring with tricksy dropshots. Defensively as dogged as ever, Nadal was largely ineffectual in attack, failing to make his forehand sting. Djokovic was able to head off the threat from Rafa’s inside-out forehand, and the leftie’s forehand down the line – normally a weapon of deadly force – was missing in action completely. Novak is the one opponent that forces Rafa to play differently. His backhand is impenetrably strong, and he takes the ball as it rises, neutralising the Spaniard’s unhallowed top-spin. And playing on top of the baseline allows Djokovic to create some deadly angles. But there’s one trophy that counts in the clay season, and all the others are makeweights. In both of the last two seasons, Djokovic has beaten Nadal in the run-up to the French Open, only to lose to him where it mattered most. If the match was played tomorrow, Novak would be the favourite. But there’s a good deal of tennis to be played before June 7th, and if there’s one thing we’ve learned about Nadal at Roland Garros, it’s that he’s not going down easily. The fight will be long and furious. If Djokovic wants that trophy, he may have to prise it out of Rafa’s cold, head hands. Two years ago, I bought my first tablet computer. 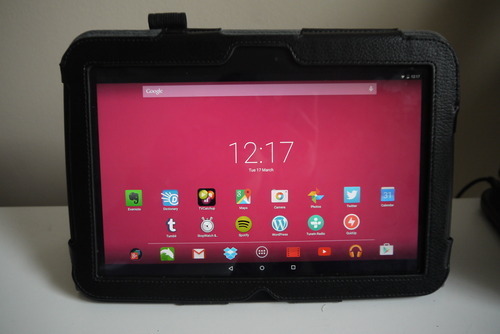 Costing the thick end of £320, the Google Nexus 10 definitely wasn’t cheap. But it was definitely worth it – the reviews said so. It was the best of the best, the finest Android device, superior to the iPad (maybe) and cheaper (slightly) to boot. But wait. I had a laptop, a smartphone – what business did I have with a tablet? Fair question. Not long before, I’d eyed the tablet trend with an amused detachment. Look at these sheep, I thought, clutching the latest consumer trophy: an oversized phone and underpowered laptop rolled into one. Loud was my laughter when I saw how much one cost. I should add in explanation: those were the days when Apple’s iPad ruled the tablet world. And I have little time for Apple. Give the choice, I’m a Google man. If Apple are cool to the core, there remains a whiff of the geeky about Google. Their massive and meteoric success derives from an an algorithm, for geekness’ sake! And just as spectacle-wearing was becoming socially acceptable, they had to inflict us with Google Glass. If Apple are style, Google are substance: beige, boring, uncool – effective. When they introduced the Nexus 10, this tablet refusenik began to soften his stance. Reader, I bought one. And here, a week or so later, was the postman, delivering it to me. I unboxed my prize with beating heart. The screen, a black mirror, reflected a face that was a mask of bug-eyed excitement. I turned it over in tremulous hands. I noted with approval the soft curves and the front-facing speakers. I switched my focus to the back: it read, with a pleasing air of business, ‘Nexus’. Running a finger along the top left I found – how intuitive! – the on-off switch. Accordingly I performed every technophile’s favourite first ritual. I turned it on. A beep, a buzz. It was then I saw that screen for the first time. Boasting 2560 x 1600 bright pixels, the Nexus 10’s screen is undoubtedly its MVP. It’s a show-stopper, a standard-setter, a screen to swoon over, whether you’re watching YouTube or tapping in your billing address. Before long I was making merry with the Google Play store, installing more apps than you can swipe a finger at. And let it never be said that the ’10 lacks processing grunt – a 1.7 GHz Dual-core Cortex-A15 purrs powerfully under its bonnet. So began my Nexus 10 user experience. So began two years of YouTube video-watching and Google Chrome web-browsing and Netflix series-binging. So began a precipitous decline in productivity and a sudden upswing in procrastination (because, for pure time-wasting, there is nothing like a tablet computer – nothing). And, despite its two hard years’ service, my device remains in rude health. It’s kept its factory finish thanks to a stout protective cover, and not two months ago it obligingly upgraded to the latest version of Android, Lollipop. Sweet. Of course, as a tablet the Nexus 10 is old. It’s past it. What once was new flirts with obsolescence. Tablets, like all consumer electronics, age in dog years, many times faster. Already Google have superseded the ’10 with the ‘9 (smaller, nippier and better). If tablets were ubiquitous in 2012, they’re inescapable in 2015. And don’t get me started on that mongrel mishmash, the ‘phablet’. No, I’ll be sticking with my trusty and untrendy Nexus 10. Who’s to say I won’t get another two good years’ procrastination out of it?